Cook signed a future/reserve contract with the Lions on Tuesday. Analysis: Cook was cut by the Raiders before the beginning of the regular season and spent time on the Panthers' and Bengals' practice squads since. For now, he is the third quarterback on the roster behind Matthew Stafford and Matt Cassel -- who will become a free agent this offseason. The Bengals signed Cook to their practice squad Monday. Analysis: Cook's place on Cincinnati's practice squad comes following the release of fellow quarterback Christian Hackenberg. The 2016 sixth-round pick will attempt to show well during his time on the Bengals' practice squad and eventually earn a depth role. 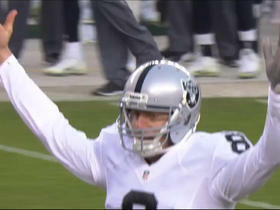 NFL Media Insider Ian Rapoport discusses the process the Raiders went through to decide on Connor Cook as quarterback. 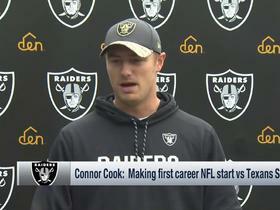 NFL Network's Charley Casserly analyzes Raiders rookie QB Connor Cook's ability to win his first career start this Saturday vs the Texans. 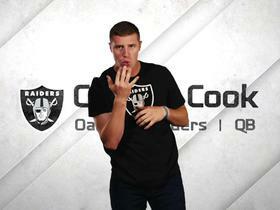 Oakland Raiders QB Connor Cook shares his feelings on being a part of the Oakland Raiders organization. 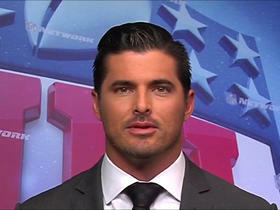 New York Yankees pitcher C.C. 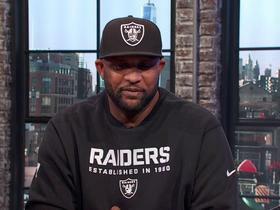 Sabathia discusses his beloved Oakland Raiders' chances of advancing in the playoffs. 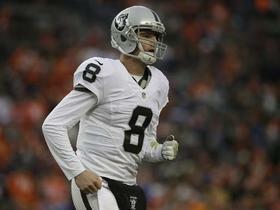 Quarterbacks Connor Cook and Brock Osweiler are both getting their first playoff starts this weekend. 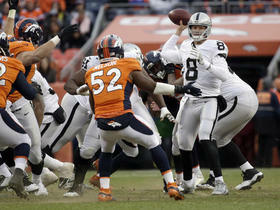 Which quarterback has more pressure to perform and which one will rise to the occasion? 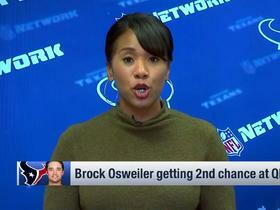 NFL Network's David Carr talks about how Oakland Raiders quarterback Connor Cook can do well against the Houston Texans this week in the playoffs as a third string rookie starter. 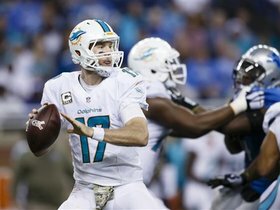 NFL Network Insider Ian Rapoport reports on Miami Dolphins quarterback Ryan Tannehill's health status and Oakland Raiders quarterback Connor Cook's expectations. The "Good Morning Football" crew speculates on how Oakland Raiders quarterback Connor Cook will perform against the Houston Texans in the AFC wild card round. 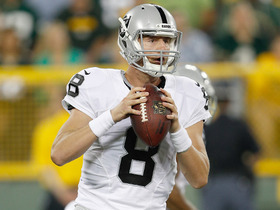 NFL Network's Charley Casserly delivers his scouting report on Oakland Raiders quarterback Connor Cook. 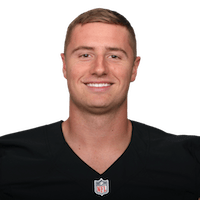 Oakland Raiders rookie quarterback Connor Cook talks about being named the starting QB for this weekend's wild card game vs. the Houston Texans.